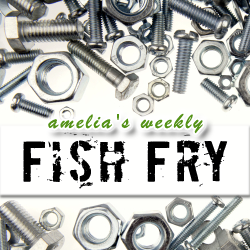 In this week’s embedded design themed Fish Fry, I interview Alf Bogen (Co-inventor of the AVR Microcontroller – CMO at Atmel) about what helped initiate the original development of the AVR core and how it fits into the grand scheme of electronic design today. In another embedded design related story, I investigate how Ford Motor Company is teaming up with open source hardware and software company Bug Labs to allow you to create your own custom-made electronic car accessories. Also this week, I check up on IBM’s Watson to see what kind of new career he has embarked upon. I have extended the Spartan-6 LX9 Microboard giveaway one more week, but you’ll have to listen to find out how to win.